44 Commercial Real Estate & Properties in Mildura are listed in 6 categories. We have 20 OfficesSale , 12 Development LandsSale , 5 Industrial Warehouses Sale , 5 Retail ShopsSale , 1 Hotels and LeisureSale and 1 Medical and Consulting PropertiesSale . Located just a stones throw from Mildura’s CBD is this outstanding freehold property, boasting Marina and Murray River views, and one of the best waterfront locations within the magical Mildura Riverfront precinct. This stunning property takes on a new dynamic when you consider it’s absolutely rare location, and within walking distance to cafes, restaurants, retail shopping precincts, the Professional sector, Medical facilities and only a short drive to Victoria’s second busiest airport. Mildura is considered the food bowl of Australia and its booming local economy sees this district as one of the fastest growing regional areas in Australia. All the hard work has been completed, with permits in place, and promises a great deal of potential for a boutique hotel development with conference centre facilities. Investors - Low Maintenance Complex $1.7 million to $1.8 mill..
An outstanding and rare opportunity to acquire two freehold office buildings right in the heart of the Mildura's Professional sector. This property offers huge potential to value add, renovate, subdivide into two titles, lease or owner occupy. Commercial property is one of Australia's best investments. Combine this with the most affordable interest rates in Australians history and there has never been a better time to purchaser Commercial Property and this property certainly ticks all the boxes. For sale by Expressions of Interest closing Monday 26/03/18 @ 4pm. For more information contact Mr Tony Roccisano on 0418 502 101. A very rare opportunity to purchase an iconic Deakin Avenue freehold, positioned amongst major tenants such as National Australia Bank, Westpac Banking Corporation, ANZ Bank; opposite Mildura Law Courts, Mildura Police Station and Mildura Rural City Council. Deakin Avenue is considered one of Australia’s most attractive Boulevards and offers huge exposure to high volumes of passing traffic. Currently leased to Etheringtons Jewellers. Land size 458sqm, frontage 9.7m to deakin, by depth of 42.24m to rear lane. This property has huge future potential and has room for further development. Please note that it is the freehold which is for sale, and not the business. For a detailed property report, please call Tony Roccisano. Suitable for offices, training or retail Combines open plan areas and separate offices Kitchenette and amenities Abundance of customer parking nearby Currently leased to quality tenant Land size approx 475m2 with rear lane secure access Contact Tony Roccisano on 0418 502 101. This iconic Langtree Avenue building represents outstanding value and return on investment. 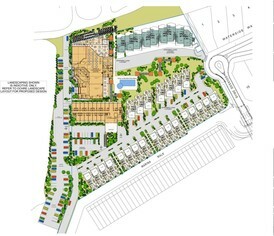 Quality construction throughout and securely leased to strong tenancies. With cheap interest rates, and a booming Mildura economy there has never been a better time to buy and with quality investments like this one, it just doesn’t get any better. All the boxes are ticked. Location, Yes! Quality Building, Yes! Strong tenants, Yes! A very rare opportunity indeed. Executive Summary Total rental income $94,054 pa Outgoings Tenants responsibility GST Tenants responsibility Rental increase Consumer Price Index Land size 950sqm Building size 791 sqm Zone Business Z Zone Access Fronts Langtree Avenue with rear lane access For Information Memorandum, please contact Tony Roccisano on 0418 502 101 Leaders in Commercial. A very rare opportunity to acquire an iconic Mildura Landmark site. Nestled between the famous Grand Hotel and 27 Deakin which was featured on ‘Get Away’ and only a stone’s throw from the mighty Murray River. Positioned on one of Australia’s most attractive boulevards, Deakin Avenue with 25,000 traffic count per day. This site is one of the last remaining large parcels of land in Mildura in the right location. Executive Summary Land Size 1425 sqm Zone Business 1 Frontage 30 metres Depth 47 metres Exposure 3 street frontage – Deakin Avenue, side lane way and rear lane way This development site has huge future potential being surrounded by major developments such as the 80 million dollar Marina Development, 18 million dollar River Front Development and much more.